For the second time in few months, suspected terrorists have once again besieged the hometown of the Chief of Army Staff, Lt. Gen. Tukur Buratai, to wreck havoc. According to a report by Leadership Newspaper, Buratai's hometown, Biu Local Government Area of Borno state have been attacked by suspected members of Boko Haram. 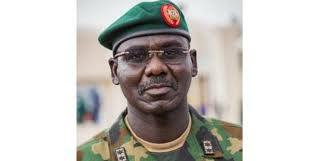 In other reports, there are allegations of killings multiple destructions by the insurgents which include the house of a former Commissioner in the state, Isa Buratai. It should be noted that this is coming barely a week the member of Shi'ites allegedly tried assassinating the Army Chief in Zaria.